Should Every Day Be Bring Your Pet to Work Day? When it comes to animal-friendly offices, the answer depends on who you ask. And yet one thing we can all agree on is that the topic of pets in the workplace isn’t going away any time soon. If your company doesn’t already have a pet policy, it’s only a matter of time before you’ll need one. One survey found that 82% of employees in pet-friendly companies said they felt a greater sense of loyalty to their employer. Other research has shown that animals can be great stress relievers, lowering levels of tension, anxiety and even blood pressure. On the other hand, you don’t need a PhD to know that pets in the workplace can also raise hackles, eyebrows, and concerns. 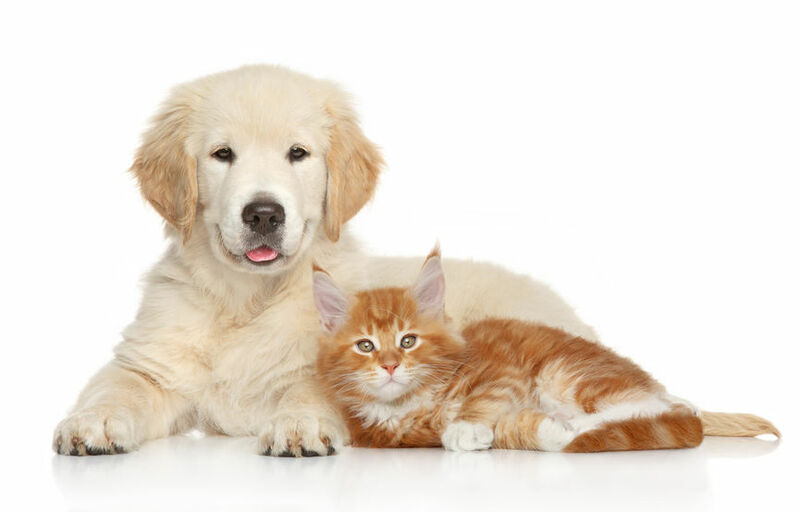 So how do you, as a business owner, decide what pet policies are best for your company? Whether you’re looking to create a more pet-friendly workplace or put your no-pet policy in writing, there are a lot of resources you can turn to. A quick Google search will lead you examples of pet-friendly workplaces, policy templates, and helpful warnings about things you need to consider. When it comes to pets in the office, the most important research you can do is internal. How do your employees themselves feel about it? This is a critical component to crafting your workplace pet policy, as it has the potential to directly affect every single person on staff. If you’re thinking of going pet friendly, make sure to survey your employees to find out what they think about it. Ideally, this would be done anonymously to allow you to get the most honest and candid feedback possible. Believe it or not, this can be a touchy topic. Animal lovers feel very strongly about their little loved ones and rightly so. But even people who have genuine concerns like severe allergies or a crippling fear of dogs may feel pressured to agree to pet-friendly policies for fear of being labeled as that no-fun coworker who foiled the company pet policy. Even if your entire staff is 100% on board with pets at work, you may still have some homework to do. Does your landlord allow animals in the building? Is your set-up conducive to allowing pets on-site? Are there health and safety regulations or concerns? What happens if equipment gets damaged? What’s your legal liability if something happens to a staff member, customer, or animal? Will you allow all pets or just dogs? What requirements will you set for who can participate? Do you need to cap the number pets allowed on-site? Should there be designated pet-free zones? Will pets be allowed in the lunch room? In meetings? Determine these things in advance so you don’t come up with a perfect pet policy only to run into issues with implementation. It’s one thing to come up with a general idea for how things will work, but that won’t help you train your employees on proper pet procedures or handle unexpected messes as they come up. Documenting your pet (or no pet) policy will help with both of these things. Once you’ve got your policy down on paper, you’ll be able to clearly answer any employee or candidate questions that come up about what is and isn’t allowed. If you’re going full pet-friendly, you’ll also be able to trot this benefit out to recruit new team members who value this kind of workplace perk. In order for your strategy to be effective, you’ll need to make sure it aligns with your organizational model, culture, and values. You’ll also want to revisit it regularly to make sure it’s still the right fit for your company and your team. Pets or no pets? It’s your call. Either way, you’ll want to give your policy the time and attention it deserves. At Raffa, we work with businesses in the greater Maryland, Virginia and Washington, DC area to implement strategic employee benefits plans designed to position them as coveted employers of choice. Whether you’re looking to build a healthy team, lower employee turnover, or recruit and reward executive talent, we can help.